The BaByliss PRO Porcelain Ceramic 2″ Straightening Iron is our go-to flat iron. This flat iron has many features that prevent your hair from frying as you use it! This product has our Hidden Crown stamp of approval. Caring for your Hidden Crown Hair Extensions is crucial if you want your extensions to have a long life span. Hidden Crown Hair Extensions are made of 100% remy human hair, so they have to be treated well just like your real hair. For this reason, we recommend the BaByliss PRO 2″ Straightening Iron! 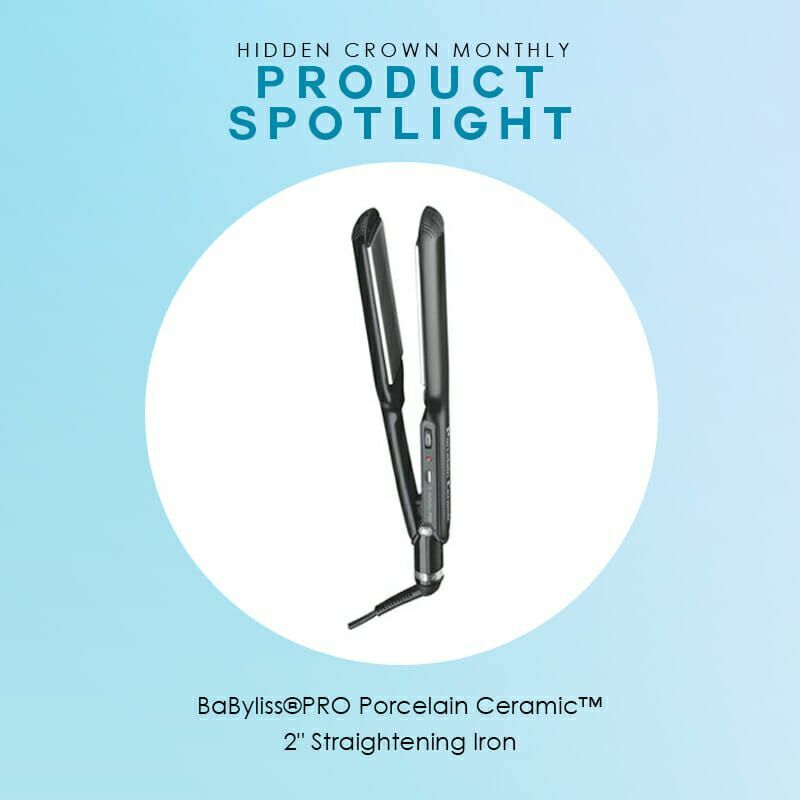 The Porcelain Ceramic technology in this iron distributes even heat across the plates and generates far-infrared heat, a more efficient heating method which is gentler to hair. The flat iron also allows you to select the temperature you’d like, which allows you to select the exact temperature your hair type needs (tip: never trust a hot tool with a “1-10” temperature scale). 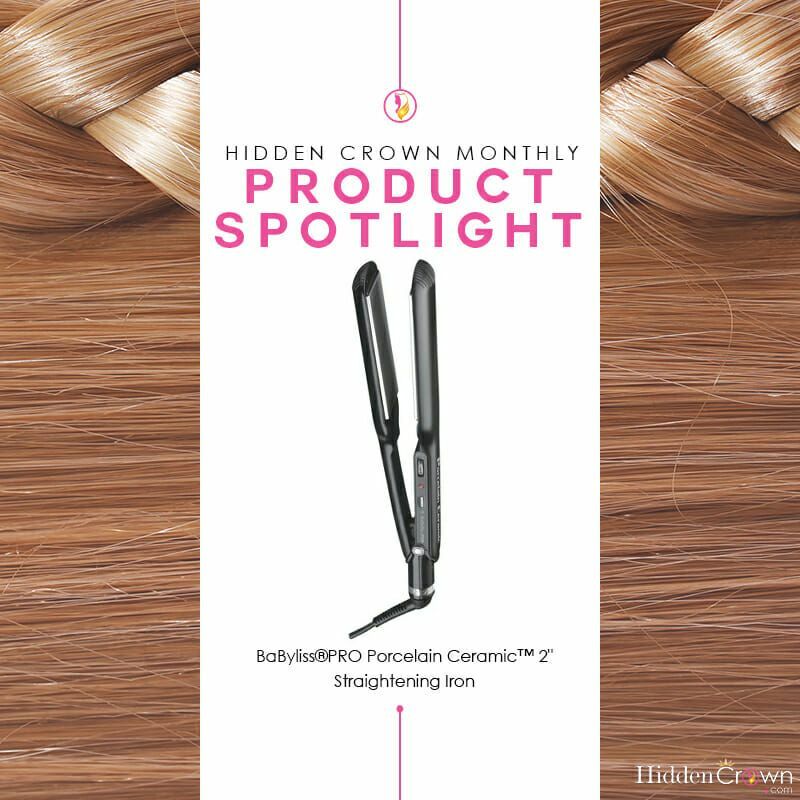 This iron is sure to give you smooth, sleek and healthy-looking hair!